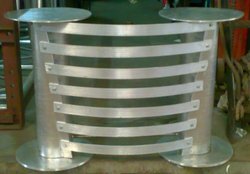 With the help of our dexterous team members, we have been able to offer Fabrication Service. Under this reliable service, we offer Party Fabrication, Aluminum Fabrication and Truss Fabrication. These fabrication services are rendered as per the specific demands of our clients in stipulated time-period. Furthermore, the raw material used in rendering these services are obtained from the reliable vendors of the industry to ensure durability. We are dealing of special party function. 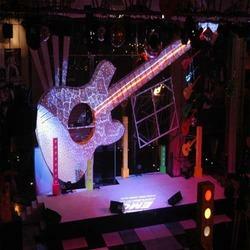 this MS Fabrication used in event party in hotels. 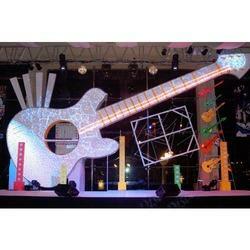 Note :- We can use in Lighting Truss, Roof Truss, Circle Truss, Round Truss, Folding Truss etc. We can also use this Truss for Exhibitions, Stage Shos, Sound, Dj, Advertising, Events, Fashion Shows, Decorations. Ours is a trusted firm engaged in rendering Party Fabrication services to our esteemed clients. In order to render these services, we have appointed a diligent team of designers and professionals, who are well-acknowledged with this domain. In addition to this, these services are rendered by our professionals in accordance with the industry set guidelines and standards. This X-Mas Tree is about 20 feet height and this is used in party or event in 31 December. Leveraging on our years of experience, we are engaged in rendering Aluminum Fabrication services to our esteemed clients. Our offered aluminum fabrication service is rendered in tandem with the industry quality standards as per the prevailing trends of the market. Furthermore, the raw material like aluminum and other allied components are obtained from the reliable vendors of the industry. Note :- We can use in Lighting Truss, Roof Truss, Circle Truss, Round Truss, Folding Truss etc. We can also use this Truss for Exhibitions, Stage Shows, Sound, Dj, Advertising, Events, Fashion Shows, Decorations.